The facets are joints in the spine which prevent excessive movement in any one direction and are used for stabilization. They are held together by short, powerful ligaments functioning as mini shock absorbers which take on about 18% of the total load applied to the lumbar spine. These ligaments can become damaged due to stresses such as lifting too much weight or quick, abrupt movements. Examples of these types of stresses are turning at the waist to throw snow over the shoulder, a car accident, or other unusual activities which cause stress to the spine. The ability of the facets to stabilize the spine is compromised as a result of damage to these ligaments. The facets become closer together and begin to rub on each other which results in pain. In an effort to decrease facet pain, many affected individuals will lean forward in an effort to compensate. Leaning forward increases the space between the facets and helps to alleviate the pain from the facets rubbing together. IDD Therapy® treatment helps curb the degeneration process which makes the facets come closer together. 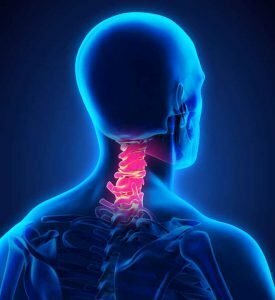 It can also mobilize facet joints and help re-educate the dysfunctional spinal structures to disperse loads across spinal structures rather than utilizing a few structures to take on the full load. Facet joints are located along the entire spine, from the base to the neck.